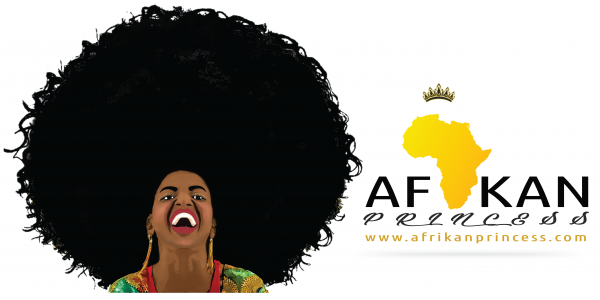 So while researching on African Cultures for my blog series I decided to add a segment on business in Africa. Businessman and creative Jermaine Charles tells us how Entrepreneurship began in his family. As Africans we have always been entrepreneurs. These two sayings have been heard by everyone at least once in their lifetimes. These two philosophies are as meaningful as they are powerful. These words give us more than just food for thought but inspire many to action. Given that most of us grew up hearing them, why have these thoughts not inspired a culture of entrepreneurship? Could the mindset around creating and starting a business be formulated using these sayings? This got me thinking about my family history. I grew up in Zimbabwe and from a very early age was exposed to entrepreneurship. My maternal grandfather, Solomon Tshuma, ran and operated his own businesses, namely a butchery and a grocery store. Although he and my grandmother Elizabeth Moyo were qualified teachers, as the Rhodesian regime did not allow for them to be trained in a variety of careers, they made the transition from workers to business owners. My mother Tembi, told me that her fathers’ first business idea was selling dried fish from Malawi. (My great grandparents actually came from there before they moved to what was then called Rhodesia). The story has it that he saved some money, hired a truck and drove a few 1000 kilometres to Malawi and bought tons of dried fish. He brought these back and sold them out of the back of the truck in his community with my grandmother. Furthermore, from that initial investment and risk they went on to build a business that put their six children through the best schools they could. It also enabled my grandfather to satisfy his passion for American cars. I’ve seen old pictures of some of his cars, ranging from Cadillacs to Fords, with a lot of envy in my heart. How does this relate to Charity Begins at Home? My aunts and uncles learned that with calculate risk there is a reward. No one will give you permission to create your own wealth or life. Even in apartheid they saw that they could still do more than what the imposed boundaries seemed to dictate. All of his children worked for the business and learned business principles early on. When he went into exile due to his involvement in the liberation struggle, his eldest son took over the business. Had it been a more progressive time his eldest daughter, who was both street and business smart would have done so. The rest of his siblings went on to start their own businesses too. My uncle Steven became a qualified mechanic and now runs his own car dealership and service garage. My mother worked in banking and was the first person I ever hear utter the words ‘business plan’. Later in life she ventured into service businesses and tourism in a country she was not born in. My dad Felix was also latter to become a business person as the economy was unravelling. He came from a family where the men and women could make, repair, grow and create things with their hands, with what they had. I learned the same lessons from his mother who raised chickens and sold them in Mpopoma, Bulawayo. I am a third generation entrepreneur and I am thankful for the example of my parents and grandparents. So in essence, we can begin to create the culture of entrepreneurship if we start to recognize what and how our grandparents helped put food on the table. It is time we started asking the elders to teach us what they learned and how they earned whether they had business licences or not. Surely some did not even think to call it business, just survival. Because although businesses might be different, the principles are the same.